No longer just a mainstay of bodybuilders, protein powders have gone mainstream with shelves of them in supermarkets across the country. But a lot of the people we see in the clinic are confused about if, which and how they should be using protein powders. In this blog post, we’ll try to clear up this confusion and take a look at the differences between plant-based protein powders and animal-based protein powders, how to choose a quality powder, and how to use protein powders effectively. Plant based protein powders include soy, pea and brown rice powders. There are also vegan powders that use a combination of plant proteins. The benefits of plant based powders is that they are often suitable for people with food intolerances, being dairy and gluten free. They are also quite affordable. Pea powder in particular is slow digesting and may keep you full for longer. The downsides are that some plant based powders are not complete proteins – for example, pea protein powder lacks the amino acid cysteine and brown rice protein powder is deficient in lysine. Similarly, while soy protein powder contain all essential amino acids and is a complete protein, there are concerns that the isoflavones it contains can interact with hormones like oestrogen and possibly skew hormone levels if taken in excess. However, according to Brian St Pierre from Priority Nutrition, this is only a concern if you otherwise eat a lot of soy-based foods. “If you are having the occasional shake with soy protein in it, it’s probably not anything to be concerned about,” he says. 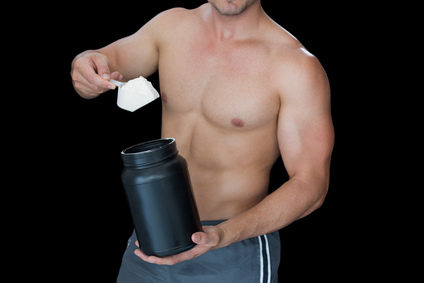 The most common animal-based protein powder is whey, closely followed by casein, both of which are dairy-proteins. There are also egg-based powders on the market. Whey protein is fast acting, which makes it beneficial for stimulating muscle growth and development. In contrast, casein, while also a milk protein, is slower digesting and is often taken at night to provide a steady source of amino acids for up to seven hours. Given the discussion over the optimal window for protein supplementation after training, the benefit of this is questionable. As a dairy-based product, both whey and casein are unsuitable for people who are lactose intolerant. There are massive variations in the price of protein powders. This mainly reflects the amount of additives and fillers in the products, with purer products having a higher price point. There are a selection of natural protein powders available that do not contain preservatives, colours, flavours or sweeteners. There is also a price difference between products like whey protein concentrate (WPC) and whey protein isolate (WPI), with isolate being considered a purer form of protein. 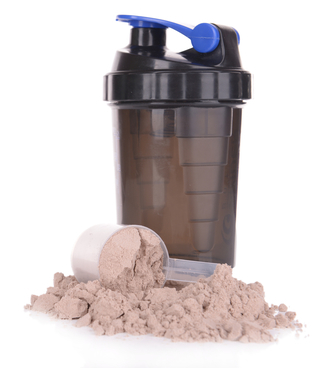 However, the advantage of these more processed powders comes with a price premium that may not be worth it – according to Brian St Pierre from Priority Nutrition, the advantage is small and a basic whey concentrate powder from a reputable company can provide great results if taken with care given to timing and overall diet quality. Protein powders are most effective when used as a recovery drink within 30 minutes to 2 hours of a high-intensity workout. This means weight training, intervals or endurance training sessions of 45 minutes or longer – not after taking the dog for a half hour stroll around the block. The Australian Institute of Sport recommends that it is most effective to eat some protein just after exercise, and to spread the rest of your day’s protein intake out over meals and snacks during the rest of the day. So rather than having a huge slab of meat at dinner, have smaller portions of protein-containing foods like lean meat, dairy, nuts and legumes throughout the day. Ultimately, our view is that protein powders, used judiciously, can play a role in aiding muscle recovery. However, they should not be treated as a substitute for a healthy and balanced diet. Real food has the added benefit of being cost effective and providing you with a wide range of vitamins and minerals that a protein powder could never hope to fully mimic. As mentioned in our blog earlier this month ‘Are you hitting your protein sweet-spot?’ it is advisable to calculate your protein requirements based on your lean muscle mass. A DEXA scan can give you an insight into how much lean muscle mass you have, accurate to the gram. Why not get a before and after scan to see if your protein intake when exercising is working for your body? Visit Body Measure in Crows Nest, Sydney, to help achieve your optimum body and health! You are worth it!